One of the oldest French heirloom varieties. 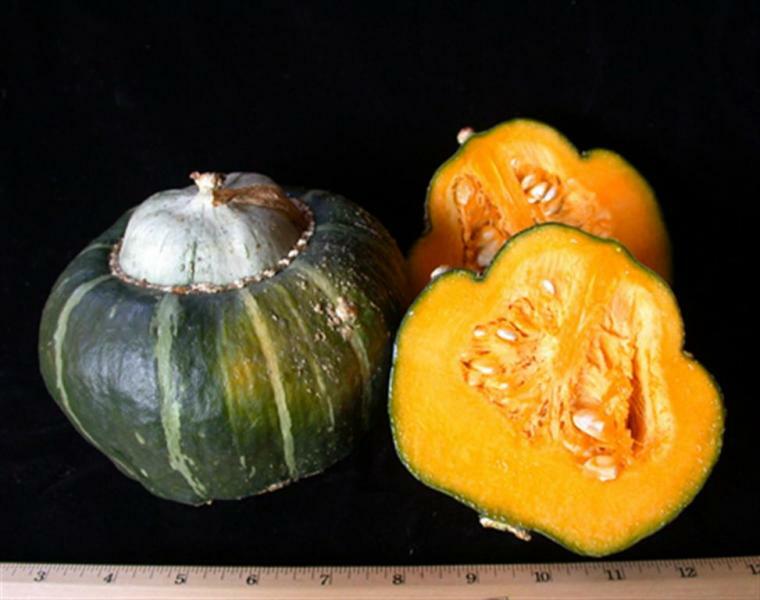 This long trailing sprawling, squash variety produces lots of huge round flattened fruit with button blossom end. Dark green colour hard skin when ripe with bright orange flesh, average weight about 3 lbs. Keeps very well , we are still selling last years crop on our market stall in February! .Perfect for roasting, purees, soups and pumpkin pie. Delicious when grated and used instead of carrots in a spicy cake.